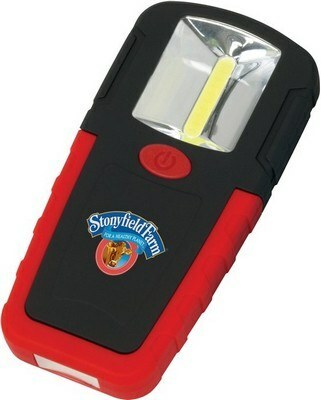 Our Mighty COB Work Light produces a lantern-like effect and has a clip to secure it to a belt, a pocket or a backpack. The Mighty COB Work Light, as its name suggests, is a powerful and impressive source of light. The COB work light has a chip on board that has an output of 200 lumens. It produces a lantern-like effect. 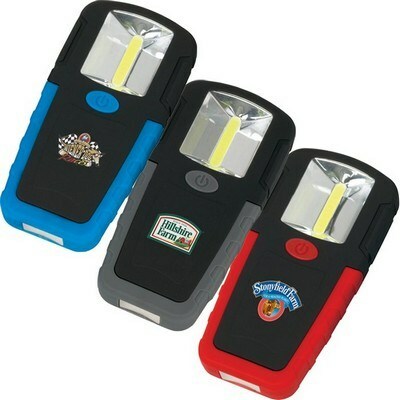 It is convenient to carry as it has a clip to secure it to a belt, a pocket or a backpack. It also has a pivoting fold away hook. There is a magnet at the base enabling it to be fastened to metallic surfaces. 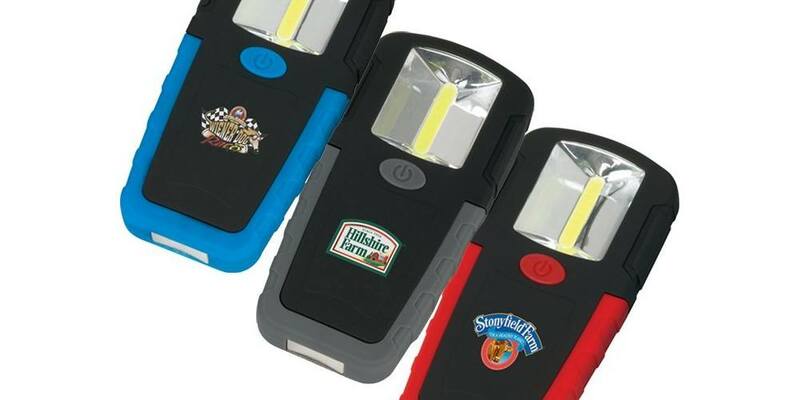 Imprint your company’s logo on the Mighty COB Work Light, using TruColor or Pad Printing technology and mightily increase your brand visibility.